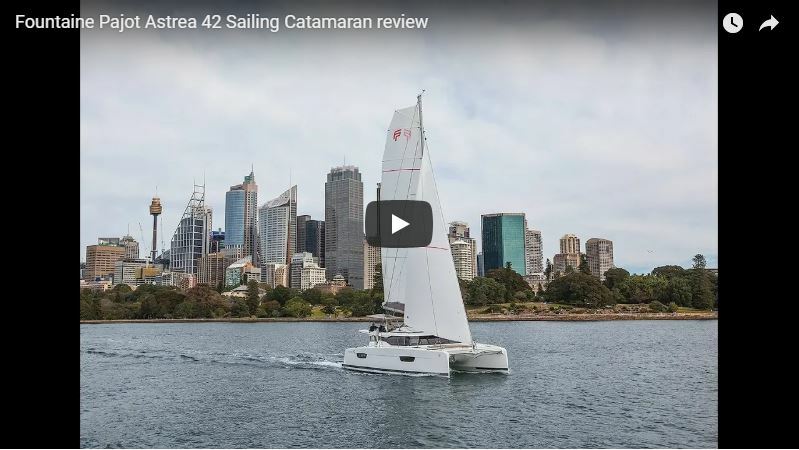 Fountaine Pajot’s new Astréa 42 has been a bit of a global sales success since her launch, and collected cat of the year, too! It is not hard to see why. A new look, way more amenity out aft, and possibly one of the best Owner’s hulls going around today. Many thanks to Marcus Ashley-Jones and Multihull Solutions for getting us out on Sydney Harbour, and to aeromedia.com.au for the additional aerial footage. Read more, here. Check out the video review here or click on the image below.